Whether you’re drowning in student loan debt or simply searching for a way to save money during the repayment period, refinancing may be your best option. However, there are several lenders to choose from, and some offer loan products that could lower your monthly payment but end up costing you more in the long-term. So, in an effort to take the guesswork out of finding the best student loan refinancing companies on the market, we’ve compiled a list of the top options. To qualify for refinancing, you must not be enrolled in school and the loans must be in repayment status. You should also know that federal loans under the income-driven repayment plan model are not eligible for inclusion in the Education Refinance Loan program. You can use the “Get My Rate” tool found on the website to determine what refinancing terms you qualify for without impacting your credit score. And the online application can be completed relatively quickly, and you’ll have an offer in as little as two minutes. CommonBond boasts rates as low as 2.5 percent APR on student loan refinancing. You can see what rate you qualify for in a matter of seconds by answering a few questions. There’s no impact on your credit score and you’ll only be asked to complete the entire application and upload any required supporting documentation should you decide to accept the loan offer. Another major perk is loan forbearance, which allows you to delay repayment of up to 24 months if you hit a rough financial patch. Furthermore, you will not be assessed origination fees when taking out a loan, and there’s no penalty should you decide to pay off the loan early. And if none of the loan products fit for your financial situation, you may be able to tailor a loan that best suits your needs. Credible is an online loan marketplace comprised of 8 lenders that are committed to helping you land better rates on your student loans. With rates as low as 4.5 percent, they boast an average cost savings of $18,668 per customer and allow you to tailor a loan product that you can afford. Both federal and private loans qualify for refinancing through the lenders in their network. And you can use the free rate-checker tool to gauge what you qualify for without dinging your credit score. With this feature, you can also view personalized offers from each lender directly from Credible’s dashboard. Even better, they offer a built-in “Best Rate Guarantee” that will put $200 in your pocket if you qualify for a lower rate elsewhere. You may be able to qualify for a rate as low as 2.57 percent (variable) if you refinance your federal or private student or ParentPLUS loans through Earnest. If you prefer a fixed rate, they start a 3.99 percent, but a 0.25 percent discount applies if you enroll in Auto Pay. Borrowers are allowed to select a payment amount and due date that works best for them. And there are no prepayment penalties should you decide to pay the loan off early. Earnest also extends a skip-a-payment option that allows you to forgo making a payment and take care of it later if you encounter financial trouble. When evaluating your loan application, Earnest looks beyond your credit score and also considers your savings account balance, education background, and earning potential to determine if you’re a good fit for their loan. You should also know that the checking your rate does not generate a hard inquiry or your credit report, so your credit score won’t be impacted. If you’re considering applying, keep in mind that you’ll need to have at least $5,000 federal or private student loans (or a combination of both to qualify). Earnest also requires a minimum credit score of 650, and a steady source of income through employment (or a qualifying job offer). You can find the detailed list of qualification criteria here. Education Loan Finance is one of the leaders in the student loan refinancing industry with over 30 years of experience under their belt. Servicing customers throughout the US and Puerto Rico, they have personal loan advisors standing by to assist you with your refinancing needs. On average, their customers save $309 monthly and $20,936 over the life of the loan through their refinance program. If you qualify, you can choose from a variety of repayment plans and complete the entire application process from start to finish on your smartphone. Variable and fixed rates are as low as 2.55 and 3.09 percent, respectively. 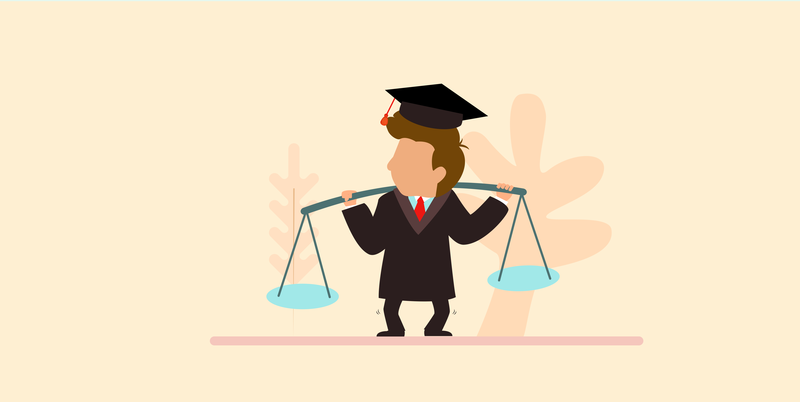 Furthermore, you can choose from a repayment period of 5, 7, 10, 15 or 20 years. You can determine if you pre-qualify for a loan from Education Loan Finance by using the online tool. It only takes a few minutes to complete the online form, and there is no impact on your credit score. LendKey is an online marketplace that can connect you with over 300 community banks or credit unions to help you find the best rates on your federal and private student loans. There are no origination fees, and you may be able to secure a loan that is interest-free for the first four years of the repayment period. If you refinance your student loans through LendKey, you could qualify for APRs as low as 2.51 and 3.49 percent on variable and fixed-rate loans, respectively. And you’ll have anywhere between 5 and 20 years to repay what you owe. Checking your rate won’t impact your credit score, and you will not incur origination fees should you choose to move forward with the application process and accept a loan offer. On average, Laurel Road customers have saved $20,000 on their student loans. Parent PLUS loans also qualify for refinancing. They offer fixed and variable rate loans with terms of 5, 7, 10, 15, and 20 years. Rates start at 3.05 and 3.50 percent for variable and fixed loans, respectively. Even better, you can save 0.25 percent by enrolling in AutoPay. There’s also a special program for dental or medical residency customers that enables them to remit payment of $100 per month for the duration of their assignment. Another added perk is the referral program, which puts up to $400 in your pocket each time you refer a friend and they are approved for a Laurel Road loan product. It only takes five minutes to complete the online form and explore your loan options, and checking your rate won’t affect your credit score. Known as one of the top student loan refinancing companies on the market, SoFi has served over 250,000 customers and refinanced over $18 billion student loans. SoFi also allows you to explore multiple loan options and select the one that is more cost-efficient on a monthly basis or over the life of the loan. To qualify, you must have a credit score of at least 650. But if you’re unsure about your credit score, you can always use the online pre-qualification tool to determine if you’re eligible, and if so, for what rates. And it only takes two minutes to get a response. Best of all, you can apply, upload any supporting documentation, and sign your loan documents directly from your mobile device. Splash Financial offers very competitive rates on their student loan refinancing products. If you’re a well-qualified borrower, you may be able to secure a rate as low as 2.96 or 3.75 percent on variable and fixed student loan refinancing, respectively. They also offer a $250 referral bonus if you refer friends and family and they refinance their student loans through Splash Financial. The new loan recipient will also receive a bonus. To get started, use the online tool found on the website to check your rate with no impact to your credit score. Upon completion of the questionnaire, you should receive a response in as 3 minutes or less. While there are several perks to student loan refinancing, it’s not always the best solution for borrowers looking to find relief. It depends heavily on your credit score, the current rate on your loans, and if they are federal or private. With regards to your credit score, student loan refinancing companies will take it into consideration when evaluating your loan application. And if your score isn’t up to par, they will either offer you a higher rate than you already have, request that you get a cosigner, or deny your loan application altogether. Therefore, it may not be in your best interest to refinance your student loan until you improve your credit score. You should also consider the current rate you have on your loans and if the new offers on the table are substantially lower. Keep in mind that some lenders will offer you a slightly lower rate but extend the repayment term, which will cause you to pay more in interest over the life of the loan. Another important consideration is if your loans are federal or private. The latter doesn’t offer nearly as many perks as what’s available through the federal government, like income-based repayment programs. So, a lower rate may very well be worth a shot. But if you refinance your federal loans through a private lender, you automatically lose all the benefits and protections that were once afforded to you. It’s better to be proactive when dealing with your student loans so you can minimize the financial blow to your wallet. And by exploring the best student loan refinancing companies on the market, you could be on your way to paying off your debt in record time.